See your doctor in the comfort of home. No waiting rooms. No travel issues. No stress. 1. Who is eligible to receive an in-home medical care visit from Doctors Making Housecalls (DMHC)? DMHC serves patients ages 3 to 103 — with ailments ranging from the simple to the complex — in 250 communities across North Carolina. We have particular expertise in providing medical care to individuals with complicated, chronic health conditions as well as specialized geriatric care to frail, elderly patients. Our patient population also includes those who are unable or too sick to travel to the doctor, patients who live in rural areas, patients wishing to avoid crowded, conventional waiting rooms, and travelers to North Carolina. 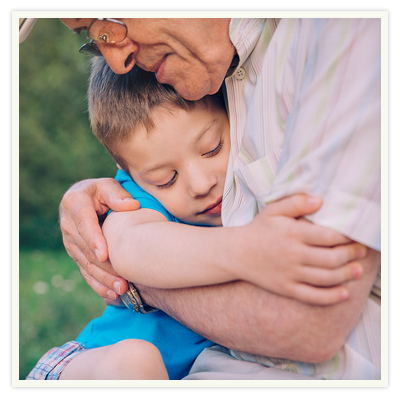 Additionally, we provide continuing care to residents in assisted- or independent-living communities. 2. Where can a DMHC primary care clinician see me? Wherever you are! DMHC clinicians are in 250+ communities across North Carolina, and we visit patients living in private homes, assisted and independent resident communities, in corporate office settings and in travelers’ hotel rooms. Please call our office (919) 932-5700 if you need further clarification on locations or visit our Clinicians page to see the communities we service. 3. How do I get started as a new patient? 1. Call Our Office: Register by calling our office and speaking with our new patient registration team. To expedite the process, please have your insurance information handy when you call. Toll-Free (844) 932-5700 or (919) 932-5700 and then press 1. 2. Register Online: Register by clicking the Online Registration link and filling out the online form which, when complete, can be sent electronically, securely and directly to our office. 3. E-mail, Fax, or USPS/”Snail” Mail: Click the Registration Form link, and the ABN & Authorization link, complete both forms, and email, fax, or mail them to our office. The email for our new patient registration team is newpatient@doctorsmakinghousecalls.com and the fax for new patient registration is 919-724-4951. 4. How long will it take to schedule my first in-home medical care visit? We offer same day or next day appointments, seven days a week, for acute or urgent medical problems. For routine or preventive services, such as an annual physical, we can generally schedule an appointment within a few days. DMHC does NOT provide Emergency Services – if you are experiencing a medical emergency, please call 9-1-1. 5. Can I see the doctor before leaving home in the morning? Yes. We schedule appointments between the hours of 8:00 am and 5:30 pm. But we also offer urgent care, and evening and weekend appointments when necessary. One of our goals is to accommodate the lifestyle and time constraints of busy people, making access to care as convenient as possible. 6. What if I need a visit after hours, on the weekend, or on a holiday? We do not routinely schedule after-hours or weekend visits, but a clinician is available by phone or in person for Urgent Care needs 24/7. Clinicians take turns managing weekend phone calls so our patients, their caregivers or family members always have access to a DMHC provider. 7. Do you offer Emergency Services? DMHC does NOT provide Emergency Services – For true medical emergencies, call 9-1-1. We provide urgent care services but if we believe you have a life-threatening medical emergency, we will refer you to the emergency department of your local hospital, or the hospital of your choice. If, when you call us for a visit, we cannot determine over the phone whether your problem is a true medical emergency or not, we may arrange for an urgent visit by one of our physicians. They will evaluate the problem and make the decision. Often, our highest and best contribution is helping patients avoid unnecessary trips to the ER. However, if the problem is a true emergency we make sure patients get there promptly. 8. What services do you offer? The Doctors Making Housecalls mission is to provide care that is proactive, patient-centered and prevention-oriented. We see patients often and in detail, and respond promptly to urgent care needs. Many of the medical services you expect from a traditional office-based medical clinic can be performed in-home or on-site by our specially trained clinicians. These services include comprehensive physical examinations including camp, sports and employee physicals, annual wellness visits, comprehensive geriatric assessments, medication prescription and management, diagnostic testing (such as EKGs, x-rays, and ultrasounds), blood work and lab testing, chronic disease evaluation and management, immunizations, wound care and more. The DMHC team also provides complete care coordination, working with patients and their insurance companies to coordinate with specialists, any necessary off-site testing, home care services, and medical device and equipment delivery. For further information about our services, please visit our About Us page. We are pleased to announce that we are now offering dentistry services in select areas! 9. What if I need Lab work, X-Rays or other testing? Our physicians will order lab tests, x-rays, EKGs, and whatever ancillary services or procedures that may be required to fully evaluate any medical problem — and you almost never have to leave your home or office for these to be done! There are no trip fees for ancillary services. The charge for these tests and procedures, if any, are the same as you or your insurance would pay at a brick and mortar practice. We send phlebotomists to draw your blood in your home or place of business, whichever you prefer. They transport the specimen to our local reference lab, which runs the tests your clinician ordered. The results are reported directly into your medical record electronically – promptly and securely. There is no trip fee for this service. We also arrange for all x-ray studies to be done right in your home or place of business, again, no trip fee required. Imaging studies that require large, fixed equipment, like CT scans or MRIs, must be done at a nearby imaging center or hospital outpatient department. We can get test and procedure results almost immediately if required. 10. 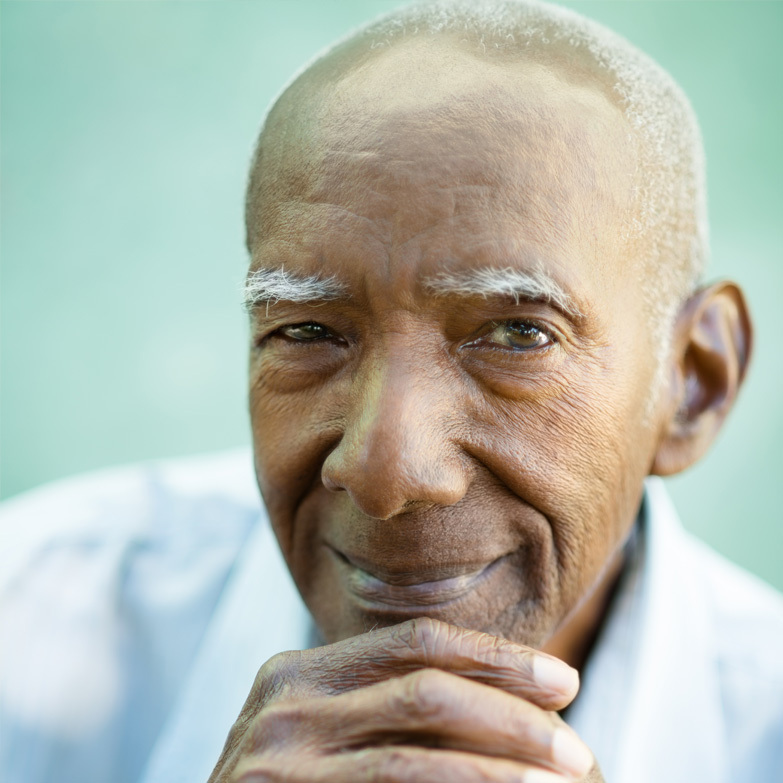 What if I need to see a Specialist or my DMHC clinician recommends home health services? The DMHC Clinical Team provides complete care coordination, working with patients, family members, and their insurance companies to coordinate with specialists, offsite testing, home care services, and any necessary medical device or equipment delivery. 11. Will my DMHC clinician become my primary care doctor? Yes. When you apply to be a DMHC patient we ask that you sign a release stating that our clinician will take over as your primary care practitioner. This release also allows us to access any medical records from previous providers. 12. Can I See The Same Physician Every Time? Yes. We schedule the same physician for each visit unless the physician is out of town and you need to be seen on an urgent basis. In that case, we will arrange for you to be seen by another of our outstanding physicians, who will have the benefit of your complete medical record at his or her fingertips. 13. How do I contact my primary care provider if I have a medical question? Because our clinicians spend all day out in the field seeing patients, the best way to contact them with a medical question is to call our office at (919) 932-5700 or Toll-Free at (844) 932-5700 and ask to speak to your clinician’s Clinical Organizer. Our Clinical Organizers are in contact with the providers throughout the day and will be able to make sure they receive your message. Alternatively, you may access our staff directory and send an email directly to your clinician. Again, because our clinicians spend most of the day in the field, be advised those emails may not be immediately returned. 14. What types of insurance does Doctors Making Housecalls accept? DMHC will also bill and file all of your insurance claims. Please see our Insurance page for additional information on coverage. 15. Can I use a secondary insurance policy to cover what my primary insurance does not cover? Yes, DMHC will automatically bill secondary insurance for any charges that are not covered by a patient’s primary insurance. 16. Will Private/Commercial Insurance reimburse DMHC’s Charges? What is the “trip fee”? Yes, private and commercial insurers reimburse DMHC’s charges just like they would an office-based practice, except for our “trip fee.” When our physician visits you in a private home, there is an additional trip fee of $95 that is not covered by your insurance. This is because the insurer considers it a charge for convenience and, therefore, not medically necessary. Please visit the insurance section of this website for additional details. Our trip fee is really just another type of copay, comparable to the higher copay you incur when you go to an urgent care center or emergency room, or visit certain specialists. In Senior Living Communities, our physicians are able to see several patients at each community on our regularly-scheduled visit days, and we waive our trip fee for those visits. In the rare instance that we have to make an urgent care visit on a non-scheduled day at the community, we charge a “trip fee” of $95.00 on weekdays or $120 on weekends. This only occurs when the patient has an urgent problem that must be evaluated promptly and we can’t manage the problem effectively by phone. If we can reasonably and safely manage the problem over the phone, we will. 17. How Do I Pay For Your Service? It depends on your insurance. Please see above and the Insurance page of our website for more details. For the portion of our fees which are a patient’s responsibility, such as deductibles and co-pays, we ask for payment by credit or debit card, both for your convenience and the safety of our physicians. We do not permit our physicians to carry payment in the form of cash or checks with them or to process credit card payments. We are happy to take the payment information needed to process your credit card at the time of registration, or when you call for an appointment. For convenience, we can store that information in our secure database, or you may process payment yourself through our secure website portal. DMHC accepts Visa, Mastercard, American Express and Discover. We can also take payments by debit card or PayPal.